A free printable Halloween social story for kids about carving a pumpkin. Carving a pumpkin is a Halloween tradition for us, as I'm sure it is for a lot of other families. Since it's something we do only once a year, my kids need a visual reminder of all the steps involved. 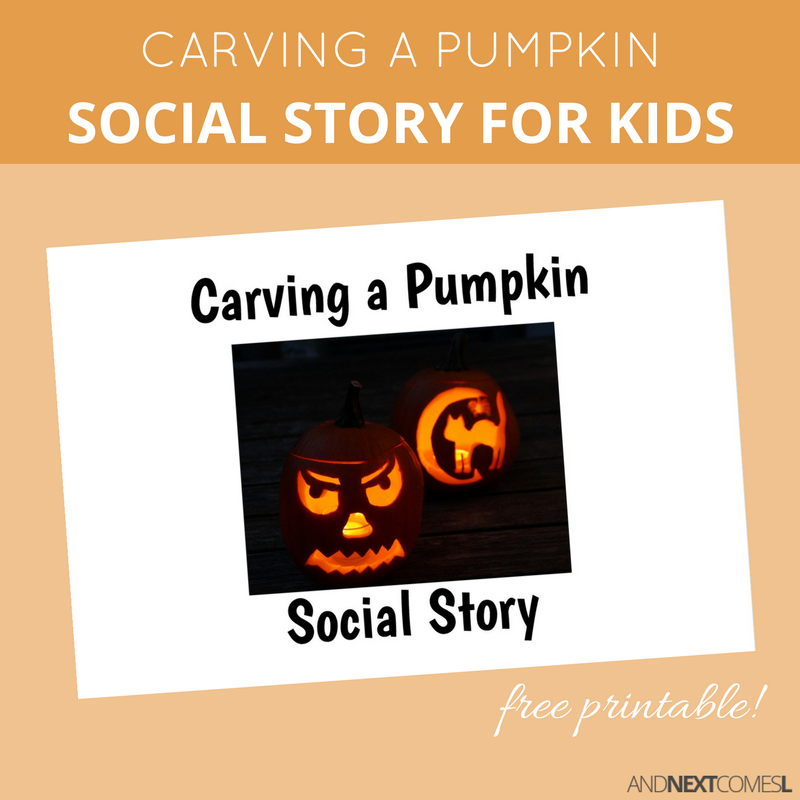 This free printable Halloween social story for kids discusses, step-by-step, how to carve a pumpkin into a jack-o-lantern. It's a perfect story to accompany the free printable trick-or-treating social story. The two social stories combined are a wonderful way to prepare your child with autism for the upcoming Halloween festivities. This social story walks a child through the process of carving a pumpkin. From picking out a pumpkin to lighting it for Halloween, this story covers the steps involved in making an awesome jack-o-lantern. This printable is 10 pages long and includes full color photos.